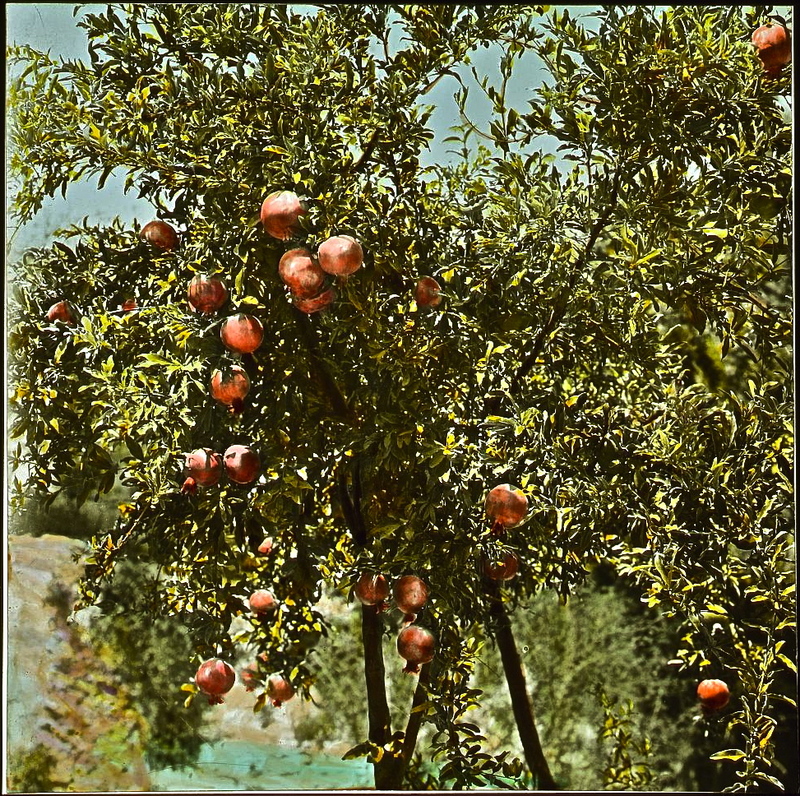 Hand-colored transparency, “Pomegranate Tree in Fruit,” by the American Colony Photo Department (later Matson Photo Service), taken between 1925 and 1946, via Library of Congress. I think about pomegranates, as I put the seeds on my oatmeal every morning. The tree in our garden has been producing fruit pretty steadily since September. Wikipedia says, “In the Northern Hemisphere, the fruit is typically in season from September to February. In the Southern Hemisphere, the pomegranate is in season from March to May.” Perhaps because Rwanda is pretty much on the equator, we get both seasons. Looking for poems about pomegranates, I found this poem by Billy Collins. It has only a little to do with the fruit, but it’s funny. I just love Billy Collins- I hadn’t seen this one before. It’s not really on-topic, but I thought it was great. There are a number of Renaissance paintings where the women are wearing what is called “pomegranate” velvet. The cut velvet pile of the fabric makes a tone-on-tone design. Really gorgeous.